Oh, what a wonderful world I live in! My Mommy and Pop Pops are so good to me. I love them very much. They are very good dachshund parents. 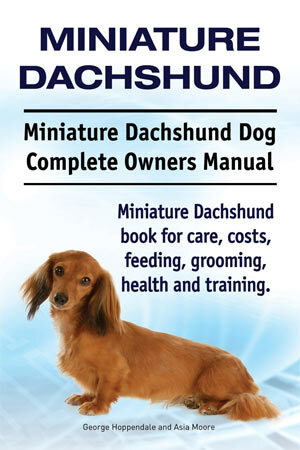 Everyday I have yummy and nutritious food that Mommy says will make a mini Dachshund grow healthy and strong. I eat it all up at every meal. Often times though, my Mommy or Pop Pops let me have a ‘taste’ of some human food because I am a good boy. I have tried chicken, ground beef, potatoes, broccoli and many more. I don’t need a whole bowlful. Just a small taste makes me feel like an important part of the family. Well last night Pop Pops made something called T-bone steaks. After they finished eating dinner I got the T-bone! I’ve never had a real bone to chew on before so I wasn’t really sure what to do with it and, seriously, this T-bone was almost as big as me! I nudged it, sniffed it, nudged some more, then licked. Oooohhhh…this was good. Nudged it some more, licked it some more, tried to pick it up. Whoa! This thing is kind of heavy. Well, it is pretty big! I think I like T-bone. No, I think I love T-bone. Oh yeah, I could get used to this. “What’s that you say Pop Pops?” I asked. And, no, I didn’t eat the whole thing, Pop Pops had most of it. I only had enough for a little Dachshund tummy! YUM! That sounds WONDERFUL! I wish my Mommy and Daddy would give me T-bone steaks but my mom doesn’t eat meat so she rarely cooks it for Dad. 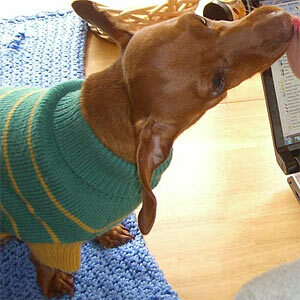 You are one lucky little doxie!